State lawmakers want to assure teachers and staff that they won't have to use leave time - or lose pay - for days their schools are closed due to Hurricane Florence. 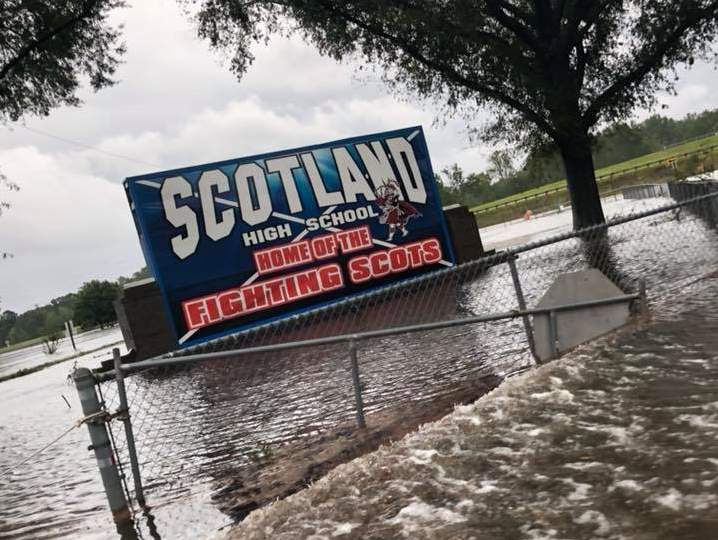 Schools like Scotland High School have been preparing for class after major flooding. State lawmakers say they are drafting a bill to help schools deal with all the missed days they are having due to Hurricane Florence. Some schools in the southeast part of the state plan to miss two weeks or more as they clean and repair buildings and grounds damaged by the storm and flooding. State Senator Michael Lee of Wilmington says the issue has been on his mind for a while. Lee got a call from New Hanover County Schools’ Superintendent Tim Markley with concerns about missed schooldays while the storm was still striking. “He said, 'Senator Lee, I need to talk to you about calendar flexibility, waivers. We need to talk about our teachers, are they going to be required to take leave time? '” Lee recalled in a press conference Monday. North Carolina law requires public schools to be in class 185 days each school year or have 1,025 hours of instruction. For school districts that may have to close for up to three weeks for more intensive recovery, that would mean a deep cut into summer break. Senator Lee and Representative Craig Horn – who each co-chair education committees in the legislature – say a bill they are drafting would forgive all missed days for schools in a declared disaster area and give calendar flexibility to other school districts affected by the storm. The lawmakers say they want to assure teachers and staff that they won't have to use leave time - or lose pay - for days their schools are closed. Lee and Horn say the bill would hold harmless school employees’ salaries for missed days. “One of the keys here is that our kids get sufficient instruction as well, so it's kind of a balance,” Horn said. The legislature is expected to meet in October to debate and vote on a full disaster relief package that includes those education measures. State Superintendent Mark Johnson said the proposed bill is a good first step in a recovery effort that will take months. 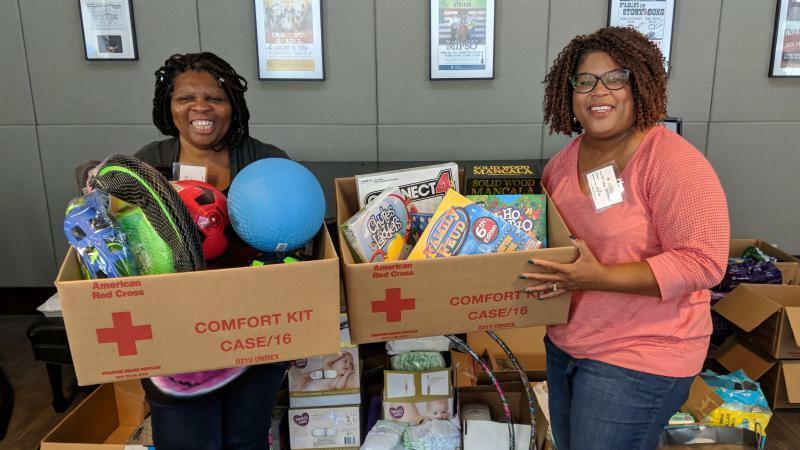 “We’re getting to the point where hopefully in the next week or so we can open up schools, but we’re opening them up in communities where people have lost everything,” Johnson said, adding that the measure would be valuable relief to school employees. You can view the full press conference on the New Hanover County government's Facebook post. Krista Holland wanders past huddles of people at a storm shelter in Chapel Hill, N.C. Some are wearing Red Cross vests; others are in bathrobes and pajamas. The Wilmington principal is looking for any of her students who may have evacuated to the shelter before Hurricane Florence made landfall. She recognizes a young man wearing earbuds. "You remember me," the longtime educator says. "Ms. Holland?" Schools across the southeastern part of the state remained closed this week as administrators begin to assess the damage from Hurricane Florence.